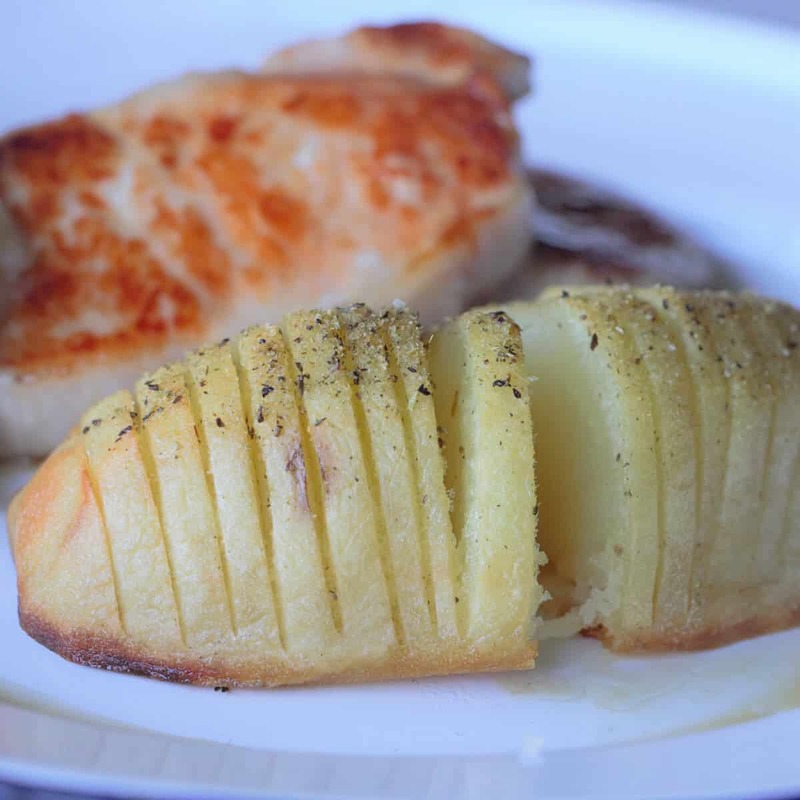 Hasselback potatoes are a fantastic side dish, where the outside is crisp, but the centre remains creamy and soft. This is also a way to get more flavour into your potatoes and add a bit of variety. Normally, they are cooked in about a centimeter of stock but these ones are simply roasted. These can be roasted in a Dutch oven or camp oven, or even wrapped in foil. Peel the potatoes, then cut in half. Cut slits down the potatoes about 6mm apart and 1cm from the base. Preheat the Ducth oven to 180 degrees C (350 degrees F). Cover the potatoes gently in oil then roast for about 30 minutes. Coat the potatoes in oil again, then dust with the seasoning salt. Continue to cook for another 30 minutes or until the potatoes are browned on the outside and cooked through.